Inspired by a recent tutorial/free printable giveaway on Susan Niner Janes’ blog, Papercraft Post, I was keen to have another go at paper bead making. Susan’s clever idea was to add patterned ‘toppers’ to the narrower ends of tapered paper strips which are rolled into beads, so that an attractive design appears on the widest part of the bead after rolling. 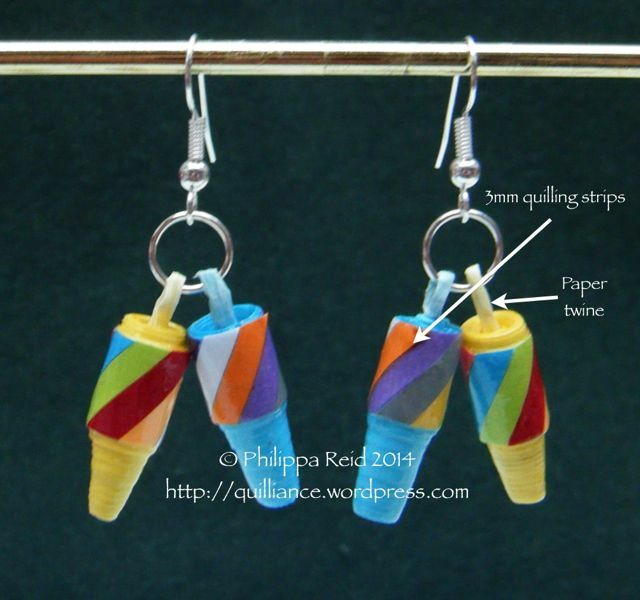 I wondered whether I could create my own patterns using short sections of quilling strips to produce a ‘candy stripe’ effect – and these earrings are the result. To make the beads for my earrings, I tapered the edges of 20mm wide iris-folding strips by careful measurement and cutting to achieve a symmetrical shape. To the wider end (on the inside of the bead when rolled), I glued a short looped-over length of paper twine to form an integral hanging hook for my earring beads. This doubled-over length of twine runs across the whole width of the strip right at the end, providing a fairly firm central ‘core’ to roll the bead around. The resulting loop is useful because it gives you something to hold on to when smoothing the bead into shape and also when applying glue/varnish. Plus, of course, it provides a fixing to thread the jump ring through when making the beads into earrings! For the candy stripes, I selected 8 short lengths of left-over 3mm quilling strips and glued them diagonally, edge to edge, across the narrowest end of the strips (to appear on the outside of the bead when rolled). After rolling each bead, I found I could easily slide the outer band of candy stripes up and down in order to ‘play’ with the finished shape, and the central paper twine loop could also be pulled and pushed to help achieve optimum shape and smoothness before fixing the finished bead with an outer coat of glue. Once I was happy with the shape of each bead, I applied the fixing coat of glue with a brush and popped a cocktail stick through the loop to help hold it upright while drying. (I insert my cocktail sticks into the tiny holes of a ‘pin art’ board for drying purposes, but you could equally well use a bulldog clip or a lump of plasticine to hold them.) Once the glue was dry, I finished by applying a layer of clear nail varnish. I’m quite pleased with the end result, and am sure there must be many more interesting ways of enhancing beads with ‘toppers’. 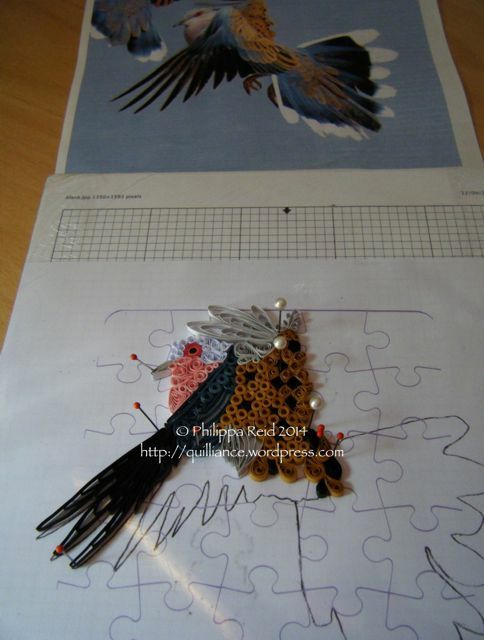 Do check out Susan’s blog here for further bead-making inspiration. With our village art show coming up in a few weeks’ time, I’m busy preparing for the quilling demonstration that I’ve been asked to give, and also getting together a few framed quilled pictures to offer for sale. 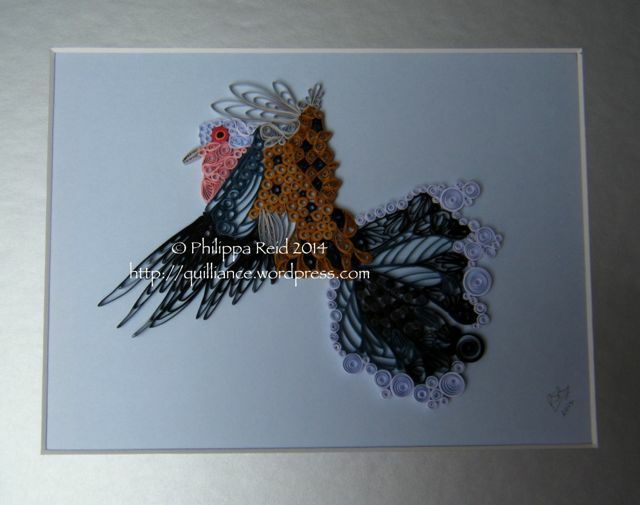 I’m confident that I will be the only paper filigree artist present! I decided it was high time I produced a new picture, and chanced upon a lovely photo of a turtle dove in flight that I have had tucked away for ages in my ‘Inspiration Box’. In the past, when working on an image like this from nature, I have attempted to follow the exact patterns and colours of the subject very precisely – but the subtle complexities of this particular bird’s plumage really did not lend themselves to that. So I decided to try a more ‘impressionistic’ approach, using a wide variety of different quilled shapes and simplified colour combinations to try and convey the basic ‘essence’ of the turtle dove. 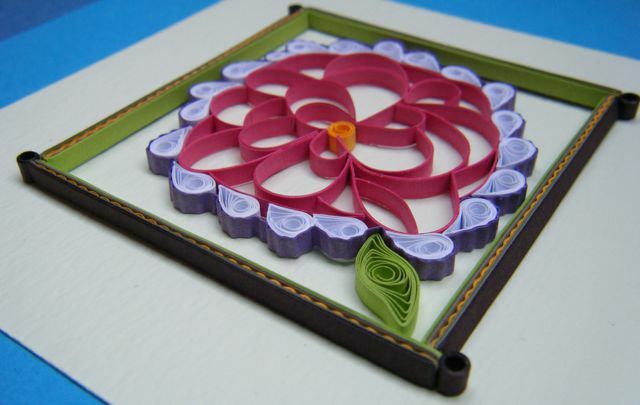 The more pictures I make, the more I feel drawn to utilise as many different quilling techniques as possible. Like most quillers, in my earliest pictures I would simply fill up spaces with multiple interlocking leaf shapes in appropriate colours – but now, to be honest, I regard this as being rather boring … not just to quill (all that repetitive work!! ), but also – dare I say it? – sometimes quite boring to look at, too. 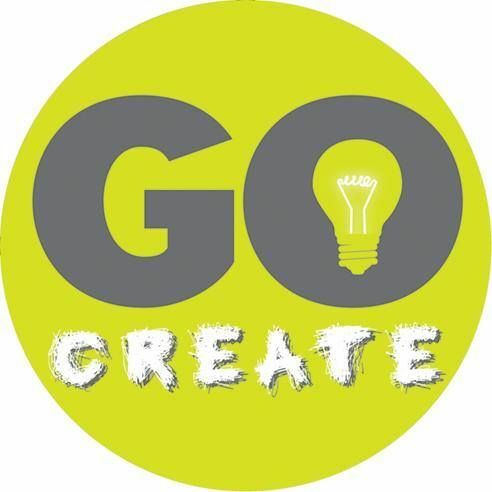 There is so much more to quilling than variations of the closed loose coil – let’s start exploring all the options! So, my turtle dove incorporates many different techniques in an effort to convey shape, movement and texture. Plus I utilised a new approach to selecting and using quilled shapes in different colours to represent the overall visual effect of the complex plumage. First I traced the outline of the bird and scanned it into my computer. Then I overlaid the outline (digitally) with a very faint image of an interlocking jigsaw piece pattern before printing it out and placing it under clingfilm on my quilling board. 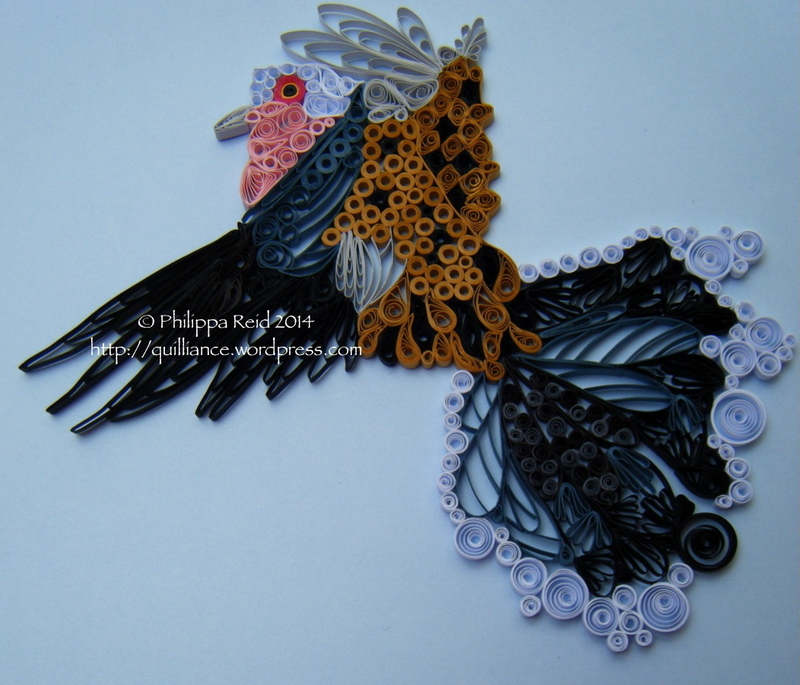 My idea was that each jigsaw ‘piece’ would represent a contrasting area of quilling in terms of colour and/or technique. I chose jigsaw shapes instead of squares for this purpose because they curve and blend naturally into one another in a visually flowing way. So, taking the area of each jigsaw piece in turn, I would study the corresponding area on the original photograph and decide which quilling techniques and colours could best be used to represent that area in an impressionistic way. This technique would, I think, work particularly well when creating quilled pictures which are composed of several large and subtly patterned areas. For the turtle dove, I had to ignore the jigsaw piece boundaries in some places in favour of the actual contours of the bird, but the jigsaw pattern did help me to focus on creating variety in terms of techniques and colours throughout the various sections of the design. I will definitely be trying it again. My bird is now mounted, framed and ready to take with me to ‘Culture on the Common’ in Hartley Wintney, Hampshire, UK, on 3rd August 2014. Will it find a new home? Only time will tell. I’ve used the ‘sandwich’ edging that I described in my earlier post to make a border for a new quilled flower which I was inspired to make by Cecelia Louie in her recent tutorial for creating outline flowers – you can find it on her ‘Paper Zen’ blog here. 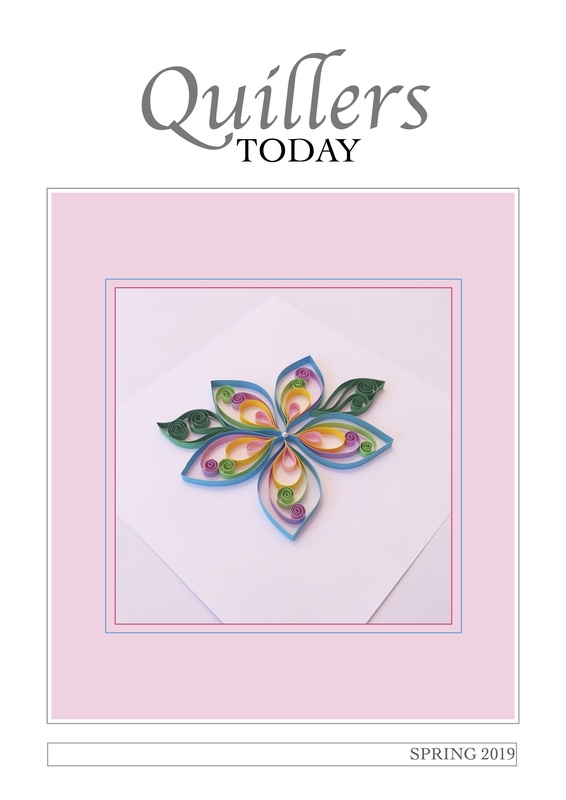 I’ve always admired Cecelia’s work, and even more so since writing a review of her excellent new book Pretty Quilled Cards which appeared on my old Quilliance blog here. Cecelia created a flower by rolling a coil, pressing it unglued into a teardrop shape and then cutting through the rounded end to create lots of little petal-shaped segments. Great idea! I made some coils using two pink strips glued together along their length for extra strength, and chose to make my own cut through the pinched points to produce rounded petals. Like Cecelia, I then set about creating a flower using these little sections of curved pink strip, grouped around a central coil in a gently asymmetric fashion, just as you would see in nature. I have secured each petal with TINY little dots of glue on the ends, assembling the whole bloom on a clingfilm-covered board with pins. My flower is edged with little white teardrops, all bordered around with a length of crimped purple strip. I’ve always thought that cutting coils offers a great deal of creative potential. It reminded me of the ‘cut eccentric coils’ which I experimented with a few years ago – you can read about them here and here. Also, I really love the unusually open style that sections of gently curved, on-edge strips bring to quilling. I was wondering what to do with this flower, and have decided to mount it on to a card ready to take to The Quilling Guild‘s forthcoming Annual General Meeting and Display of Work at Dereham, Norfolk, UK, in September. (Read all about it here.) The Guild is aiming to create a display of the greatest number of quilled flowers in one place which we hope may one day form part of a Guinness World Record attempt. Our initial target is 1,000 flowers, so there is still a lot of quilling to be done! If there’s one thing I have learned over the past few months, it is that two strips are often better than one … and multiple strips can open the door to a whole host of possibilities. I’ve found that two standard quilling strips glued together along their length are great for use in ‘on-edge’ and open filigree work, as they can be readily curved and ‘sculpted’, just like working with light card. I suspect that it’s not just the extra thickness, but also the plasticity of the dried glue in between the two layers that helps them hold their shape so well. Being me, of course, I’m not content with just joining a couple of strips together! In fact, I’ve been experimenting with creating multiple ‘sandwich’ strips which are nine, 12 or even 15 layers thick (see photo below)! 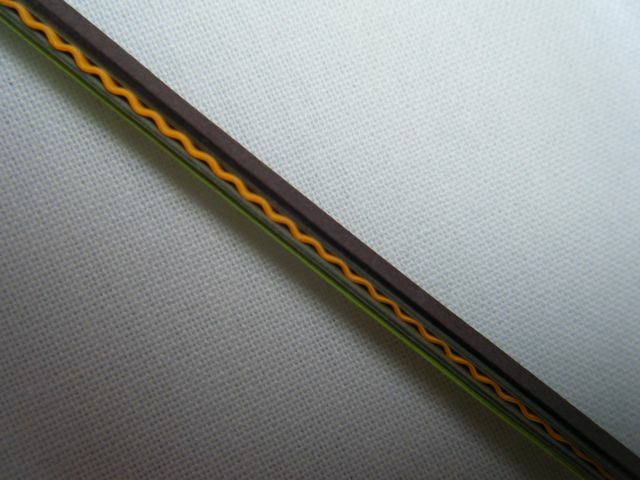 This particular one is a 15-strip ‘sandwich’, made up from five separate parts: three strips of lime green glued together; three strips of olive green glued together; three strips of yellow glued together and then crimped while the glue is still wet; another three strips of olive green glued together; then three strips of brown glued together. I made each colour component separately, then joined the lime green to the olive, the olive to the yellow, the yellow to the olive etc and allowed the whole thing to dry thoroughly before use. Once the glue between the all strips has completely dried (you have to be patient! ), these ‘sandwich’ strips can be bent and shaped to form substantial edge pieces and borders for quilled designs. They even hold their shape when curved inwards for ‘concave’ shaped features, provided you apply a thin layer of glue to the underside. When you just want straight sections, you can cut the sandwiched strip with scissors, although it requires a bit of effort – you could, alternatively, use a paper cutting knife (but be sure to mind your fingers while you cut!). I’ve found that you need to use a minimum of three strips of each colour to make a strong visual impact. The addition of crimped sections adds interest to the overall effect. I used my 15-strip ‘sandwich’ to make a border frame for a new quilled project which I will share in another post. It’s FINISHED!!!! The huge quilling project that I’ve been working on for the past 7 months is finally complete! I will not be able to post anything publicly about it for quite a while yet, but at least now I’ll be able to start working on some new ideas and get back to regular blogging once again. Having used up the photo storage allowance on my original Quilliance blog, I’m very excited to be starting afresh here, and can’t wait to resume sharing ideas with all my online friends. It may be a cliche, but today really does feel like the first day of the rest of my life! !